Whether you’ve always had a love for cars, you’re curious about the technology that keeps them running, or you’re looking for a fun, exciting career path – or all 3! 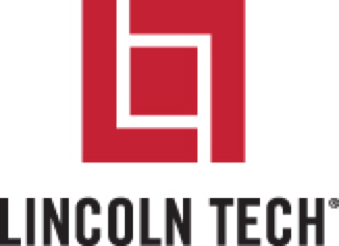 – Lincoln Tech can help you put your potential to work in this growing, fast-paced field. Partnerships with leading manufacturers like Audi, BMW, Bridgestone, Chrysler, MINI, and Volkswagen help you expand your career possibilities when you graduate*. And the training is tailored to the sophisticated systems driving the modern auto industry. Take apart and reassemble gasoline engines, along with transmissions and transaxles from cars and trucks. Train with ASE-certified instructors who bring years of professional experience to your classes. Learn to operate exhaust gas analysis equipment and repair exhaust systems. Take part in on-campus events like car shows and demos, and learn how you could get the chance to be part of an IndyCar pit crew for a weekend! At Lincoln's automotive technology schools, you’ll get ready to shift into high gear with a career in the automotive industry. You'll be prepared to pursue entry-level employment opportunities as an automotive technician at car dealerships, independent automotive shops, service centers, fleet maintenance departments and more! As new makes and models continue to hit the market, so does the need for qualified technicians to repair and maintain these new technologies, parts and intricate systems. Learn how to fix the cars you love to drive – enroll in automotive training at Lincoln, and put your potential to work! From 18-wheelers, to buses, to construction equipment, diesel engine-driven machines run the behind-the-scenes network keeping our economy moving. And diesel technology training at Lincoln Tech prepares you for a career working with the machines that impact our lives in big ways. Diesel technicians don’t just service trucks – they maintain buses, power generators, heavy equipment, and other industrial machines. At Lincoln, we maximize diesel technology training by bringing diesel engines, tractors, trailers and off-road construction equipment right into our giant diesel shops on campus.